Mr. John Allen O'Malley, age 80, passed away Thursday, February 7, 2019. He was born in Dalton Township, MI on March 31, 1938 to Robert & Gladys (Wiseman) O'Malley. Jack’s strong and resilient spirit came from his humble beginnings. He was born prematurely, at just three pounds, his parents used a shoe box near a wood stove as an incubator. He beat the odds and thrived, turning into a strong and confident young man. At ten, he lost his father. 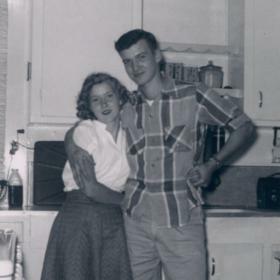 At fifteen he met the love of his life, Barbara Ann Kartes. 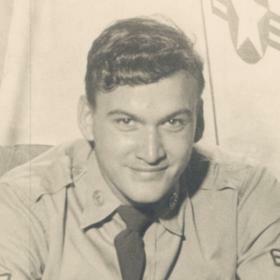 At seventeen he dropped out of high school and joined the Air Force to support his mother. When he returned to the states he married his sweetheart and started their 59-year marriage on October 17, 1959. Eventually Jack found his way into sales, and with an eye for real estate and its worth, he quickly excelled. What Jack didn’t know, he figured out. What he lacked in formal education, he made up for with hard work and determination. 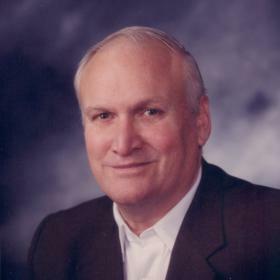 Jack was a member of St. Francis deSales Catholic Church where he was an Usher for many years, a life member of ToastMasters and past president of the Realtor’s Association. 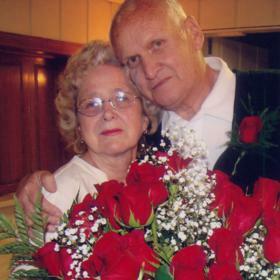 He was an avid car enthusiast, owning a Ford Model A car and enjoyed deer hunting. Jack valued family above all else and had a servant’s heart, always going the extra mile to help those in need. 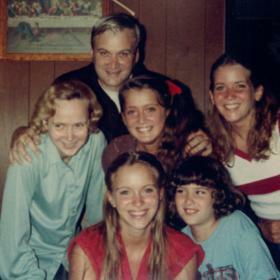 With Barb by his side, they built a beautiful life for their four girls, Sharon, Donna, Susan and Jennifer. Jack was a family man through and through, supporting his wife, children and grandchildren in all their endeavors and was their loudest cheerleader. He could be found at the cottage on North Lake every Sunday surrounded by family, grilling hamburgers, and holding court on the topics of the day. Tall and barrel chested, Jack’s booming voice was frequently wrapped around a joke or a tall tale. His personality and natural charm made him a lot of friends in his life and he valued each relationship he made, maintaining some friendships for more than 60 years. The loss of Jack is profound and his absence will leave a deafening silence, but the love he instilled in the lives of those he leaves behind will live on forever. Jack didn’t drop a pebble into the pond of life, Jack was a cannonball off the high dive, a force of nature, a larger-than-life success story. And none of that ceases with his passing, because none of that will ever be forgotten. Rest easy Jack O’Malley. That sound you hear in heaven is the applause from us below. Wife of 59 years, Barbara; daughters, Sharon (Rob) Pennell of Spring Lake, Donna (Mark) DeWitt of Muskegon, Susan (Greg) Beltz of Hudsonville, Jennifer (Dan) Blumhardt of Mill Valley CA; grandchildren, Maggie (Johnny) Pinjuv, Christopher DeWitt, Bob Pennell, Corrine DeWitt, Jack Beltz, Alexa Beltz, Alana Blumhardt; great granddaughter, Emmy Pinjuv; many nieces & nephews. He was preceded in death by grandson, Andrew Pennell in 2003; his parents; 2 brothers and 2 sisters. Saturday, February 16, 2019, 11:00 AM at St. Francis deSales Catholic Church with Rev. Msgr. R. Louis Stasker officiating. Internment in St. Mary's Cemetery. Friday, 6:00 PM to 8:00 PM at Clock Funeral Home - Muskegon. MEMORIAL: In lieu of flowers, please consider giving to Harbor Hospice Foundation or St. Francis deSales Catholic Church. Please visit www.clockfuneralhome.com to leave a memory or sign the online guestbook.